That wasn’t much fun. Well, until Sunday night. One more week of the Chicago Blackhawks’ 2018-19 campaign is officially in the books. It was nice to get a win against the Colorado Avalanche, but taking only three of a possible eight points isn’t gonna cut it. If their wild-card opponents win only 50 percent of their remaining games, the Hawks would have to triumph in pretty much all seven of their matchups to finish out the season in a playoff spot. Have you seen the schedule for the last week? It includes matches against the Winnipeg Jets, the St. Louis Blues, the Dallas Stars, and the Nashville Predators. Lions and tigers and bears, oh my! Can we stop talking about the playoffs already? The Hawks are making a valiant stand, but it’s probably too little too late. Even if they played as well as they did Sunday night, there just isn’t enough talent or experience on the team to win every night. They’re going to get beat at some point down the stretch. Enough of this doom and gloom. 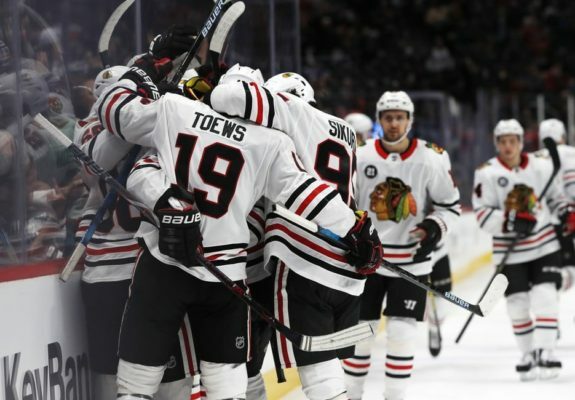 The Blackhawks have made some decent strides, which is encouraging. It’s time to have some fun with the rest of the season and finish on a high note, which means winning as many games as possible. And focusing on improving. Let’s look at the bad and the good from the last four games before we move on. After prevailing in five straight contests, the Hawks didn’t get it done against the Vancouver Canucks. The Canucks were playing their third game in four nights when they met the Blackhawks at the United Center. They had taken the Stars to a shootout the night before, on the road. It would have been understandable if they seemed tired, flat, and slow. Yet it was the Blackhawks who displayed these traits instead. They were caught standing around; their passes weren’t connecting. They simply didn’t look willing to put in the necessary effort. It was a game they should’ve won handily, but they were lucky to come away with a point. Jonathan Toews cashed in on a power play goal, which was the Hawks’ first goal with the man advantage in the last 18 tries. His tally was assisted by Patrick Kane, earning him his 100th point of the season for the second time in his career. Other positives included Erik Gustafsson scoring on his seventh (yes seven!) shot on goal to force overtime and Corey Crawford continued his solid play, making 31 saves in the loss. This was supposed to be the bounce-back game after a tough loss to the Canucks. Instead, the Blackhawks ran into a red-hot Philadelphia Flyers goalie named Carter Hart. The 20-year-old goaltender stopped 40 of the Blackhawks’ 41 shots. Most of those shots were from the perimeter, so the Hawks could’ve done a better job of generating chances and pressuring Hart. Only four of their shots were high-danger chances. Kane, superstar and goal scoring leader of the team, only managed two shots on goal in 23:23 minutes of ice time. It was a defenseman who recorded the Blackhawks’ lone tally. Gustafsson scored the first goal of the contest and his second in as many games. The defense continued to make strides, as they only allowed 28 shots (though one was an empty net goal) and remained solid throughout the night. Other than that, head coach Jeremy Colliton officially committed to putting Toews and Kane back on the top line together in an attempt to spark offensive production. Along with Dylan Sikura, the trio created some good chances. But besides Toews’ secondary assist on Gustafsson’s goal, the offense wasn’t able to break through on the scoresheet. The Hawks started well. They matched stride for stride with the speedy Avalanche through the first period but in the second period, they got into trouble. Gustafsson was in the box for holding when David Kampf’s accidental high stick drew blood from Tyson Barrie. On the resulting 5-on-3 for the Avs, they scored to go ahead 2-1. The Avs never looked back from there. They tallied on a deflection in front of the net to make it 3-1, and after another Blackhawks goal, notched the empty-netter to seal the deal. It tells me we’re not ready to score those goals that are needed at this time of year when it’s almost a playoff game, or if you get in the playoffs. Those are the types of goals that go in. There’s not a lot of tic-tac-toe, backdoor one-timer-type things. You’ve got to find a way to manufacture offense in different ways. 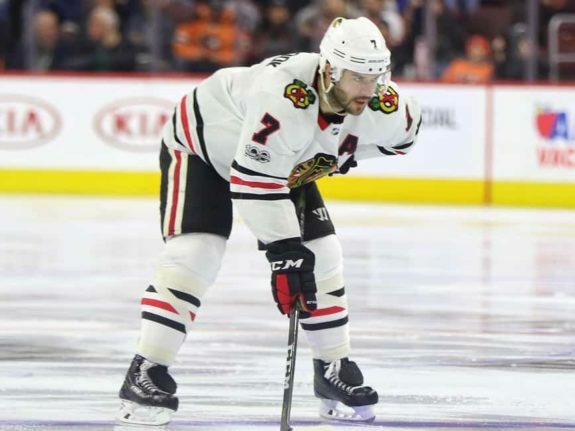 (from ‘Penalties get best of Chicago Blackhawks in loss to Avs’, The Daily Herald – 3/23/19). Just like in the Canucks game, the goal scorers were Toews and Gustafsson. Toews notched his 32nd of the season. He’s now only two goals away from matching his career-high of 34 goals scored in the 2008-09 season. He also went 19-for-23 (83%) in the faceoff circle, which is phenomenal by even his standards. Gustafsson’s tally was his 16th of the season, which ties him for second place among defensemen in the league in goals. It was also his third goal in as many games. He seems to be finding his comfort zone in the defensive zone as well. 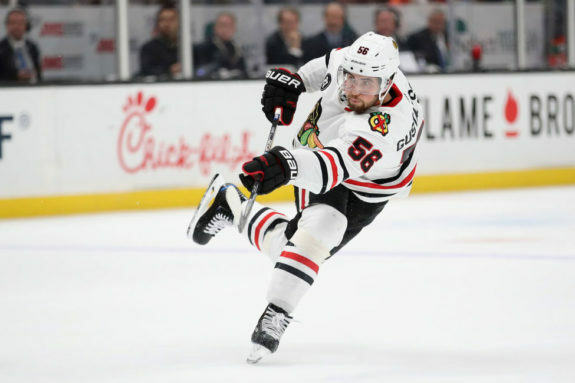 Playing alongside Duncan Keith on the top pairing, Gustafsson was credited with eight hits, two takeaways, and two blocked shots in a hefty 26:50 minutes of ice time. Oh, and no giveaways. The Hawks won this one, but not until overtime, meaning the Avalanche still earned a point. That’s yet another point the Hawks would need to bypass them. It was essential that the Hawks won this one in regulation, but they couldn’t get it done. After a tight first period and beginning of the second when nobody was giving up much, the Hawks got into penalty trouble again. This time Marcus Kruger was in the box for holding when Toews got called for hooking. Yep, another 5-on-3 for the Avs, just like in the previous contest. Keith, Brent Seabrook, and Kampf put together a phenomenal effort on the penalty kill, but alas, one got through in the end. It was the Avs’ only goal of the game. If this sequence hadn’t happened, the Blackhawks could have won this game without overtime. Defenseman Gustav Forsling committed three turnovers in this contest, including one late in the third that could have cost the Hawks the game. Forsling has played for the last eight consecutive contests, while Carl Dahlstrom and Slater Koekkoek have been forced to rotate in and out. I’d like to see Forsling benched for a few games and let Dahlstrom and Koekkoek show their stuff. The Hawks are playing better defensively but this game was by far their best. They held the Avs to 20 shots, including just three shots in the third period. It was only the second time this season they’ve held their opponent to fewer than 25 shots. Unlike the last few contests, the necessary compete level was there. It started with the core. Toews was fired up, getting into it with the referees and jawing at a few different Avalanche players. Kane finally broke out of his slump a bit and recorded a team-high seven shots on goal. Seabrook had a team-high five hits and five blocked shots. Crawford played lights out in his second game in as many days and the team answered their coach’s call and crashed the net all night long; none better than Keith’s overtime-winning goal. Are you die-hards out there now ready to hear about the Hawks’ upcoming games? I already touched on that grueling final week, which includes four matchups against division foes, all playoff bound by the way. The Hawks head west for a three-game road trip before that, starting with the Arizona Coyotes on Tuesday night. Yes, another team fighting for the same wild-card spot. They face the San Jose Sharks on Thursday and the LA Kings on Saturday night. Perhaps the Kings will be an easy matchup? Yeah well, that’s the same team the Hawks lost to 6-3 at the beginning of the month. Nothing is going to be easy from here on out but the Hawks can take advantage of this playoff-type atmosphere to build character and resilience. How many games can they win? 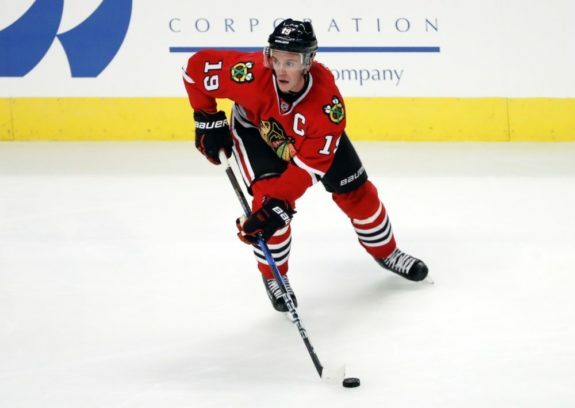 Will Kane and Toews reach career highs? How many goals might Gustafsson end up with? Can poor Sikura notch his first NHL goal before the end of the season? What about the defense and the penalty kill? Will they continue to make positive strides? Could the power play possibly come out of its funk in these last seven contests? You see, there’s still plenty of reasons to watch the Blackhawks besides the elusive playoffs.